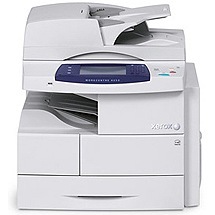 The Xerox WorkCentre 4250 series includes several all-in-one laser devices that vary in versatility and price. The 4250 is the base model and the least expensive, as it can only copy documents. 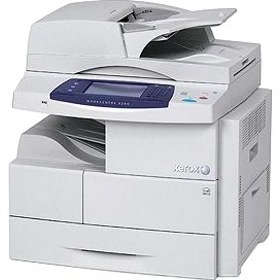 The 4250S can copy, print and scan documents, while the 4250X adds faxing capabilities. The 4250XF is the most expensive model because it incorporates the full 4-in-1 design and has a larger built-in media capacity. Each of the models is capable of printing or copying monochrome documents at a quick maximum speed of 45 pages per minute. 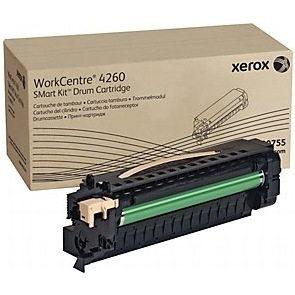 Offering some of the best speeds in their class of laser units and long-lasting WorkCentre 4250 printer toner supplies, this set of multifunction devices is a robust solution for busy small offices. One of the 4250's most impressive attributes is its walk-up front panel design that makes it easy to use without a computer. One helpful feature on the panel is its color touchscreen LCD, which uses large icons and an intuitive menu for quick access to popular print, scan and copy functions. Another is its front USB port that will allow users to walk up to the machine to scan to or print from their USB memory drive. The largest media capacity in this series is offered with the 4250XF, which can handle a maximum input of 2,100 pages and also includes a 50-sheet finisher for stapling documents. Every model except the 4250 incorporates a 100-sheet automatic document feeder for scanning two-sided documents quickly. The more advanced models in the series also benefit from multitasking features that will allow users to access more than one function at a time, meaning they can scan while printing or receiving a fax. According to expert tests on the 4250, the base model sets a good output standard for the entire series by copying documents with a sharp resolution of 600x600 dpi using black Xerox 4250 toner. The other models can print images with enhanced quality and a precise resolution of 1200x1200 dpi using black WorkCentre 4250 toner. 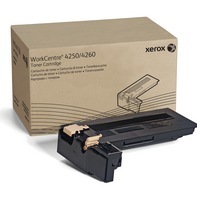 This monochrome series uses one black Xerox 4250 toner cartridge that will be inexpensive to replace compared to devices that use multiple toners. 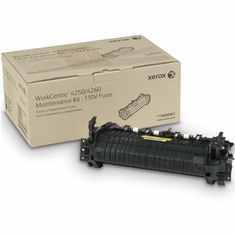 With a large capacity of up to 25,000 pages for replacement Xerox 4250 toner cartridges, the series can easily handle heavy-duty workloads. If users want more than simple copy functionality, the basic 4250 can be overlooked in favor of the more flexible all-in-one models in its series. Small or medium offices willing to spend more for the 4250XF are paying for a versatile machine with impressive paper handling, as well as a host of other features for handling large volumes.